Regardless of the industry or real estate asset class, all corporate occupiers and real estate investors face critical junctures. As a dedicated corporate real estate advisory group, we can provide fiduciary-driven insight and advice to assist in enhancing both optionality and decision making. 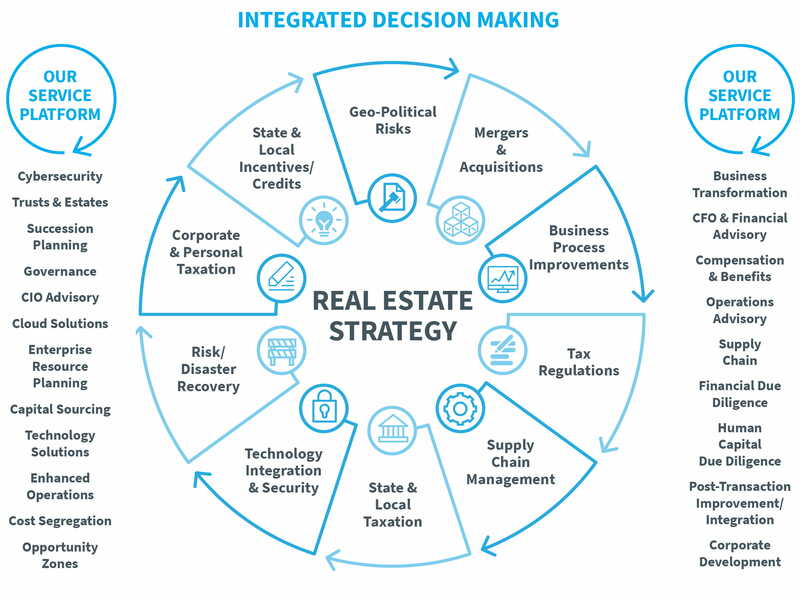 At CohnReznick Real Estate LLC , we provide a wide variety of innovative solutions, understanding that each client faces a unique set of situations and strategies that shape its real estate decision making. Working within every major industry (healthcare, education, retail, technology, manufacturing/distribution) and every asset class (office, industrial, retail, warehouse, data centers), our dedicated corporate real estate group matches corporate, or personal, strategy with operationally essential real estate to create an optimal portfolio for its clients. Most importantly, by leveraging the breadth and depth of the CohnReznick platform, we provide an unmatched menu of options and perspectives which lead to educated decision making and robust optionality.